Slow and meditative stretching, strengthening, pranayam (breathing), relaxation and rejuvenation. Soothing music and clear, safe instructions. All levels welcome. Props and mats provided if needed. One on one instruction or small groups. Hatha, Entrainment, Restorative and Yin classes available to suit your needs. Weekly classes at a time and location of your choice with people you like! Or a few solo sessions to create and/or improve on your personal practice. Or maybe just a one time booster for that little extra help. Also available for corporate yoga at your place of business at a time that suits you and your colleagues. $60/hr for 1-2 people. 75-90 minutes recommend. Prices vary for larger groups. 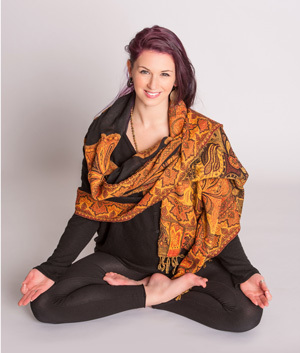 Rahel is a skilled, attuned, wise and gifted teacher on and off the mat. She guides and teaches her students with profound presence and a gentle intuitive knowing that allows safety and growth in every dimension. My every yoga class with Rahel has allowed a deeply transformative experience to unfold for me…I leave her class feeling relaxed, rejuvenated, open and grounded. I am filled with gratitude to have Rahel as my yoga teacher. I can’t say enough how taking the Entrainment Yoga classes with Rahel has improved my practice. Rahel has such a deep knowledge of many types of yoga and always takes the time to explain why we do a posture or practice in a certain way. I’ve taken many classes at some of the larger studios in the city and I always get so much more out of Rahel’s classes in learning and rejuvenation. I’ve never taken a progressive yoga class before, but now I’m hooked! My favorite part of the class is Shavasana. We always get 10+ minutes for it and Rahel even uses soft music and aromatic scents. Thanks Rahel! At the completion of every yoga class I’ve ever taken with Rahel I feel a tremendous amount of gratitude for her unbridled skill and ability to lead and guide me into a place of profound opening and relaxation. Rahel is a very wise, intuitive and gifted teacher. I feel truly blessed to have her as my yoga teacher. There is something very special about Rahel’s yoga class…her effective guidance through the postures, her calming voice and her keen attention to the participants needs makes me want to come back for more yoga! Rahel is absolutely a teacher you’re going to want to see to begin or better your yoga practice. She’s got experience, coupled with passion and creativity. Her classes are very welcoming and not intimidating like some yoga studios can be. The only way I can describe the feeling I have after a class with Rahel, is that my soul is smiling. Private restorative yoga with Rachel to heal sports injuries – what a gift! Having been a dancer, drummer and artist nearly all her life, Rahel has always sought out creative ways to find a mindful body connection. Rahel found yoga during a difficult transition in her life and discovered the bliss that comes from simply slowing down, finding stillness and breathing. 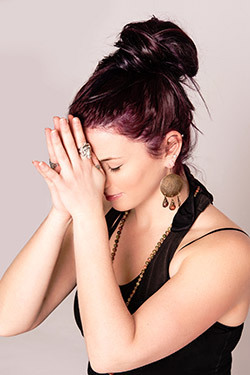 After dabbling in different styles and studios, Rahel discovered Shakti Mhi of Prana Yoga College and knew she had found her home. She completed her 200hr Hatha certification with Shakti shortly thereafter, followed by her 300hr certification and Entrainment yoga certification a year later, again with Shakti . With her undergraduate degree in psychology, 11 years as a dancer, and 7 years experience as a dance instructor, Rahel deeply associates with the therapeutic benefits of yoga for both body and mind, and finds no greater joy than in helping others reconnect with their bodies, and find their breath and bliss. Rahel feels strongly that yoga should be meditation and a spiritual practice. She strives to bring light and joy to her classes while creating a safe, non-judgemental and welcoming environment.